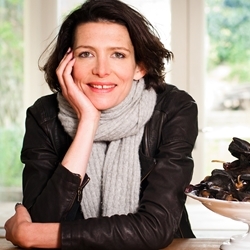 Thomasina Miers was winner of BBC MasterChef in 2005. She is a cook and food writer whose work has ranged from cheese-making and running market stalls in Ireland, cheffing with Skye Gyngell at Petersham Nurseries to co-founding the restaurant group Wahaca, winner of numerous awards from OFM’s cheap eats to the SRA’s most sustainable restaurant group three years running. Her previous books include Soup Kitchen, Cook, Wild Gourmets, Mexican Food Made Simple, Wahaca and Chilli Notes. She has presented various cookery TV programmes and writes a regular column, ‘weekend cook’, in the Guardian magazine. She has three children and lives in London. Her new book, Home Cook, is published by Faber & Faber.